The Maker's Map Show is all about business, creative thinking and living your very best life! Each week you will hear an episode that takes you through all the different destinations in business. 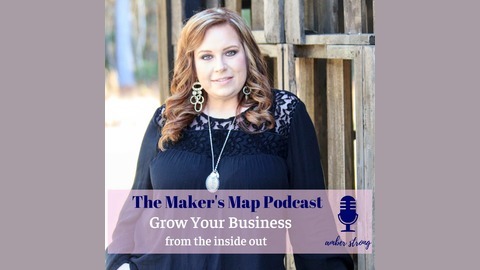 Amber (your host) will help you build a better business from the inside out. From just starting out, to marketing, social media, what works and what doesn't. I am passionate about helping other business owners and entrepreneurs. I am a creative influencer, business coach and mentor. But I am also a furniture artist and brick and mortar store owner, so I know a thing or two about being an entrepreneur and a business owner from the local market to the online space. I am dishing out all the inside secrets! This week's episode is one that is packed full of motivation, encouragement and just down right what we as entrepreneurs need to hear! Raw and transparent conversation! 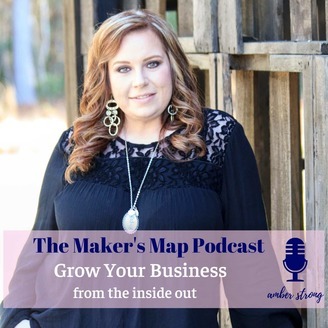 If you are wondering if business ownership is right for you, or if you are currently in business and you just feel lost or spinning your wheels give this episode a quick listen! My goal of this episode was to motivate and get you thinking. Are you willing to wonder the WHAT IF? be sure to leave us a review and rate the show!